Double insulated Euston polished chrome ceiling pendant light that hangs on a clear cable. 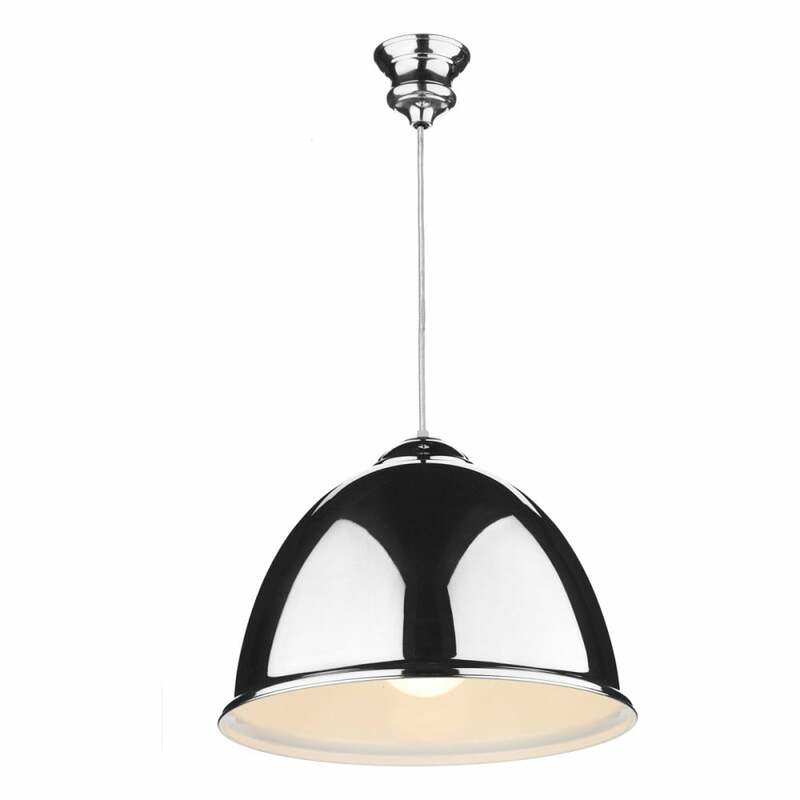 A quality retro style pendant which is designed and manufactured in the UK by David Hunt. Suitable for both modern and traditional settings, this ceiling pendant would be ideal for over a kitchen table or kitchen island. The pendant is fixed to the ceiling on a circular silver chrome rose and suspended on a thin clear cable. The cable can be shortened when fitting to suit the height of the ceiling. The dome shaped shade is polished chrome on the outside and creamy white inside to reflect the light.